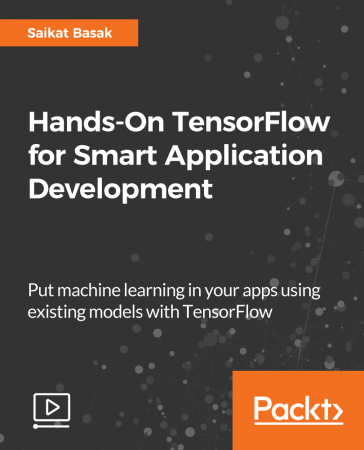 This course will show you how to develop smart applications the easy way using the power of TensorFlow and to add intelligent features to make your applications smarter without delving into deep learning. You will begin by setting up the environment required to get started quickly followed by building and deploying your first machine model. Next, you will use TensorFlow Lite, which is well optimized for on-device machine learning. As we proceed further, you'll get hands-on practice in building applications on different platforms such as iOS and Android. Lastly, you will get some crucial tips on how to make your existing applications smarter. By the end of the course, you'll not only be comfortable with using TensorFlow for building applications but will also be able to integrate the power of artificial intelligence in your mobile apps.